I went to the doctor on Monday to have my follow up blood draws on my TSH (Thyroid) and my Vitamin D and they were both normal! Yay! I have not heard from the doctor yet about if I will continue medication or not for thyroid, I hope so. I did call on the vitamin D a couple of weeks ago because I was getting low and I know they will not be continuing that prescription, so I am going to have to try to figure out how much to take on my own. I always run low even when I take it over the counter. We shall see. We also went to eat at Captain D's, my mom and Josh came with me and I took my mom to where Josh will have counseling, so she will know where to go when she has to take him. Then when I got home I noticed the internet was down! Karl called to let them know, and it was a known problem that they were working on in town. I got home around 2PM and it came back on around midnight. Josh and I ended up playing a game and we had fun. Josh is worried his medicine may be too strong, so I am taking him back to see his doctor tomorrow at 1:30PM. This is my last week off and it has been a crazy summer. I will let you guys know about the results of his visit before I go back to work. I will try really hard to pop in once school starts and let you all know how counseling is going for him and how he is doing. We did get our window last Wednesday. I have before and after pictures of that. I had made a video of the outside work we did...it was a before video, but it is too long. I will see if I can at least get an after video and make it shorter. I am hoping this window will help us with energy costs! 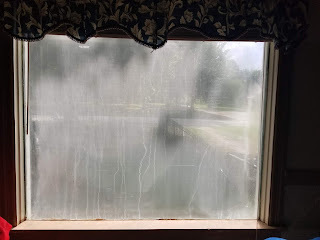 The old window looks dirty, but that fog is actually on the inside of the window. 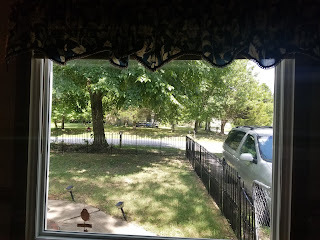 It is nice to be able to see out of the new window again. Have a nice week and I will post again soon. 1. Lounging by the Pool or Picnic by the Lake? Pool, I usually enjoy my own pool, but I haven't been able to have it out in a few years...maybe next summer...fingers crossed! 2. Shopping or Day at the Beach? I hate shopping, so day at the beach every time! 3. Favorite Restaurant or Barbecue Cookout? Oh I enjoy both! My favorite restaurant lately has been Chili's, they have everything. 4. Sports Game or Flea Market? St. Louis Cardinals baseball game. I rarely go to flea markets. Happy Monday Lori! Great news on your blood tests! I'm happy for you. Hopefully the doctor will figure out the right amount of medication for Josh. I pray for him constantly as he's been through quite a bit. Enjoyed your answers to the meme. I hoping my team gets back on track again. Hope your team is doing well. Have a day of blessings dear friend. Happy to hear your tests are normal. I hope they can get Josh on a decent amount of meds. Kids should not have to suffer. 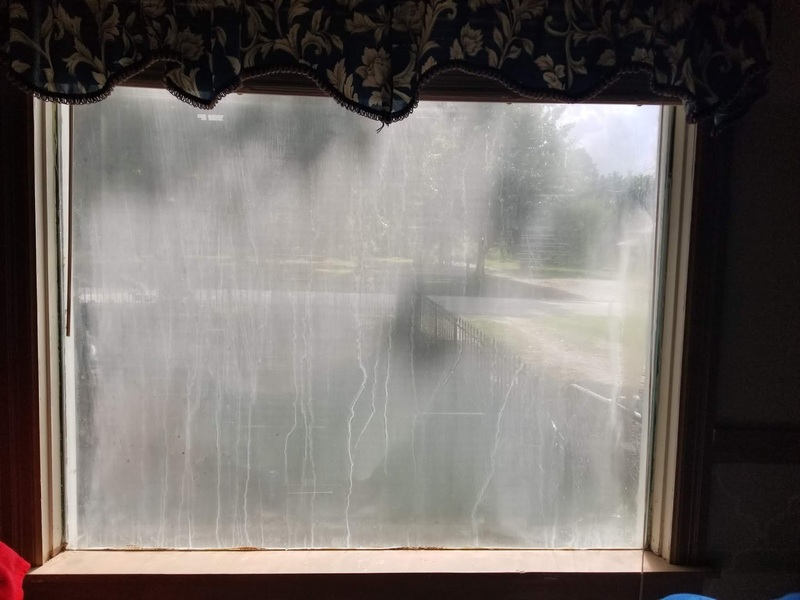 Your window looks great. 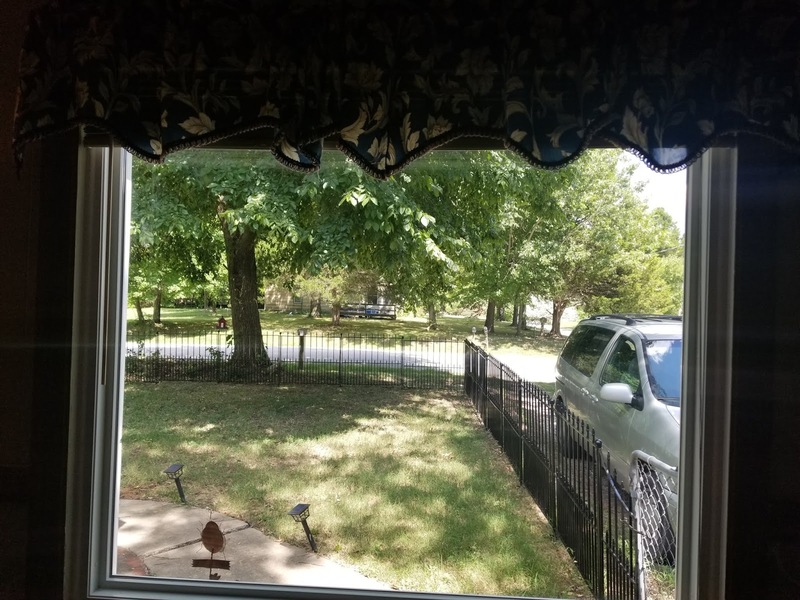 New windows make a big difference in energy etc. Great news on your blood results, Lori! I hope you get Josh's meds figured out before school starts again. Are you working as a teacher or a para this year? There are times when I miss working with the kids, but I enjoy my new job a lot. I wouldn't mind having summers off, but of course I did not get paid when I did not work. It is nice to have a steady paycheck. Your new window looks so nice! I am sure you are glad to have all the home repairs behind you. Enjoy your last week off before going back to work and I will check in with you next week. Hugs!